Year after release, OpenTTD Timetable Tools has been updated. Most of the app has been rewritted and new version brings new user interface, huge number of error fixes and possiblity to copy and share your timetable. Just to remind what it’s about: If you like to play OpenTTD with timetables on, you might find this app helpful. 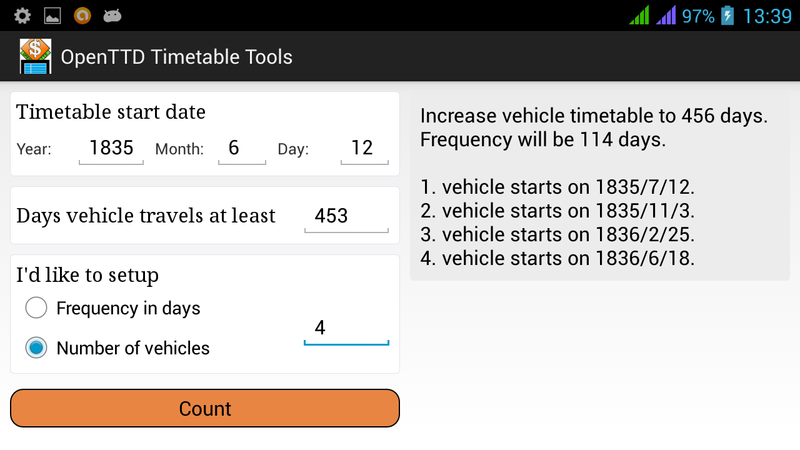 OpenTTD Timetable Tools helps you calculate timetable for your vehicles. 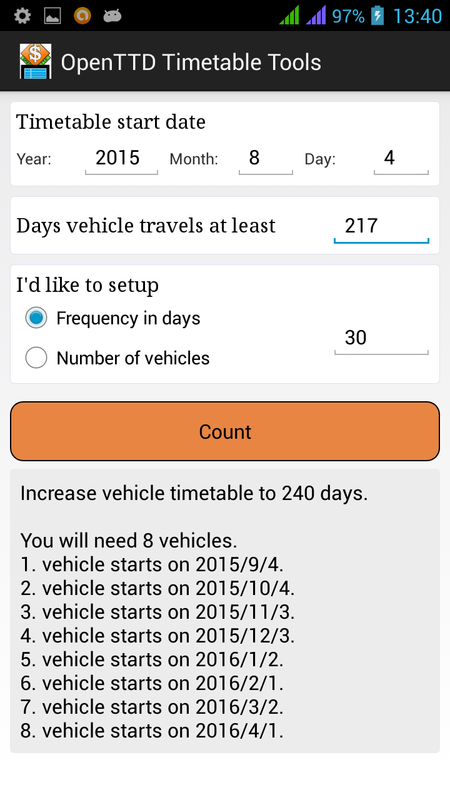 Enter timetable start date, minimal timetable length and frequency in days or number of vehicles. Program will increase minimal timetable length if neccessary and show timetable start dates for all individual vehicles. This entry was posted in Apps, Apps for Android on 27.3.2015 by Zdeněk Škrobák.